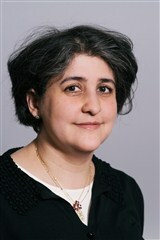 Prior to entering the publishing field, Ms. Fayed earned a master’s degree in human geography from the University of Copenhagen and spent a year teaching at the university. She then began working as an SAP developer, specializing in the areas of authorizations and HCM. Ms. Fayed possesses 15 years of experience in ABAP programming, SAP HCM PA, OM, PY, authorizations and more. She also holds multiple certifications related to the profession. In the future, Ms. Fayed plans to earn a Ph.D. in globalization within the IT world and become a globalization consultant for corporations. She will also continue her work with Jiddo Press. Read Rima Overgaard Fayed’s Newsletter!